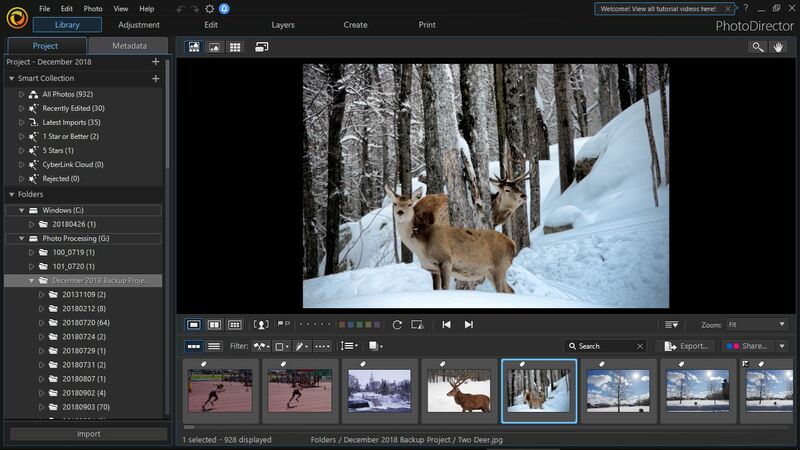 Upgrade editing software, but to what? And Affinity has a trial period then $50 to buy it. Honestly, I do not find PP'ing enjoyable or intuitive. I've just never utilized Photoshop to its fullest as much of it seems counter-intuitive to me. I use LR a good bit but find it somewhat limiting. In looking at options I see a lot of positive comments on DxO Photolab. My question is this - is DxO more intuitive than PS and is it powerful enough to help stretch my PP'ing skills without making me give up in frustration? I'm using DXO Photolab 2.2 and I love this software, it is easy to use and with excellent results, the PRIME noise reduction is great when used on shots from ISO 3200 and up. I also use Paintshop Pro 2019, it is as good as Photoshop and cost only a fraction and is easier to use. Has anyone tried Topaz Studio? 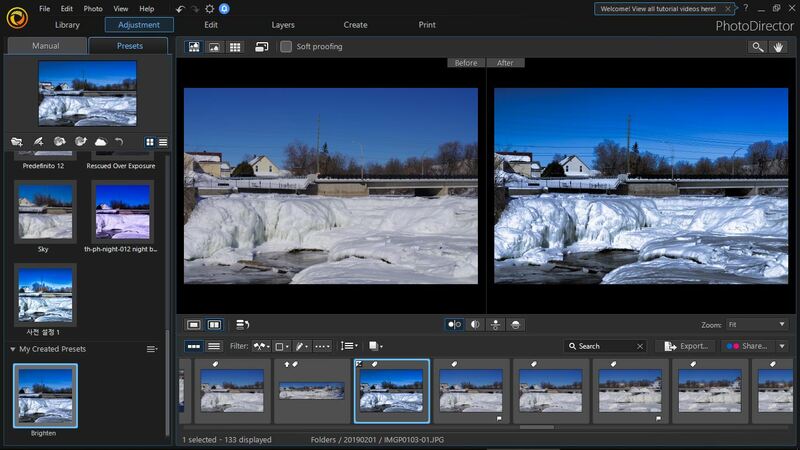 It automatically incorporates all your Topaz plug-ins you may have already purchased and its free. Affinity Photo is on sale for $39.99. Spring sale. Biggest negative to me about Lightroom now is the need to pay a monthly fee to use it. I still have the free standing version 6 and don't plan to move off it any time soon. Not sure if that would meet your needs, but B and H still has copies of Lightroom 6 available. Certainly it would be adequate for processing K-1 files. I have used Raw Therapee which is nice and supports pixel shift with motion correction, but doesn't have the ability to do cloning or adjustment brushes. I haven't used some of the other software pieces mentioned in this thread. A vote for Lightroom. It just works. Personally, I tried darktable, Raw Therapee and a few others. In the end I went back to Apples Aperture. Much better than “Photos” and it integrates well with my copy of CS4 (that I never felt the need to upgrade and wont now that its a subscription). Due to a lack of PS on iOS I purchase Affinity Photo for the iPAD and I’m finding it to be a very good, to the point that I will switch to the desktop version should something happen to my CS4 install. Thanks folks. I'm trying Darktable and Topaz's free offering right now. Like many here, the idea of paying forever isn't appealing to me at all. I have PS5 and LR5 but Adobe doesn't support them with updates for lenses, etc. At first use, I'm liking Topaz a lot. I am a Darktable user and fan. There are a lot of tutorials for it on Youtube. I use Topaz Studio and several other plugins like DeNoise and Clarity. I like them. I typically start elsewhere and do my first level tweaking and then save out as a .tiff if I want to tweak more in Topaz. I don't typically start with my raw files in Topaz because I like the Pentax profiles available with other software as a starting point, and I haven't found such a thing with Studio. Lightroom 6 supports all Pentax lenses up to (but not including) the DA *11-18 and DFA *50. 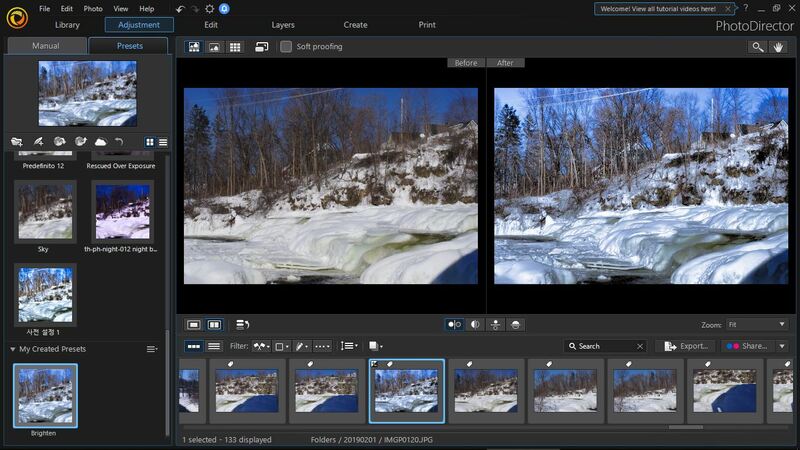 If you shoot DNG files, you can open them in Lightroom, even if the camera isn't supported as such. Hue Light offers new camera profiles and I purchased the one for the K-1 II and continue to use it without problem. I was thinking that LR 6.14 would be my go to software when on vacation. Then Google broke maps, the one thing that Capture One and Affinity Photo do not "do". For once it is not something that Adobe didn't do. As for all the Pros on this thread I feel a little left out as a rank amateur, I am still trying to take a good photo and figure out what my camera can do (k-70). Not only do I like it's simplicity but the fact I don't have a monthly fee to use it, the newer versions do have a subscription option. I also have the PP that came with the camera (down sized SilkyPix) as well as Paint Shop, Aftershot but find myself going back to PhotoDirector time after time for the ease of use! I have included a couple of screen shots for a quick look at a couple of features. Last edited by SharkyCA; 03-24-2019 at 05:49 AM. Reason: add a link and update message. Intuitive is such a subjective term and really depends on your experience and thought process. LR was about as intuitive as I ever saw, but I've never had a huge problem learning any software if I set my focus on it. As I moved away from LR, I tried and eventually went to DxO. It was mostly intuitive, mostly because I could get to an end point with fewer steps and adjustments than I had to in LR. It allowed me to learn what I needed to patiently, and now I find it intuitive. But, other software are likely more intuitive and going with intuitiveness is just plain performance. LR did not perform very well for me, and poor performance can be such a negative.